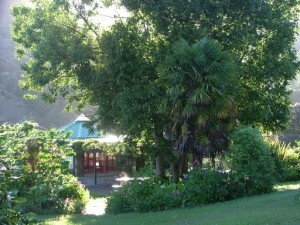 Waitetuna Retreat Centre is a Retreat, Conference and Events Centre located in the Waikato region of New Zealand’s North Island. Situated in a secluded valley, the Centre is located within a half-hour’s drive from either Hamilton or Raglan and only two hours drive from Auckland, Tauranga or Rotorua. Waitetuna Retreat Centre is ideal for many types of gatherings, including boutique weddings, family occasions, yoga and meditation retreats, seminars, team-building and training events, artists’ and writers’ workshops, health and wellness programmes, and martial arts groups.